In 1891, Ed Burroughs' father, George, Sr., sent him to work for the summer at brother Harry Burroughs' ranch on the lower Raft River. Young Ed took to the hard life of a cowboy. He seemed to have a natural ability with horses and soon tamed horses no one else could ride. He did ranch chores, carried mail on horseback, rode in roundups, and carried out all the duties of a full-grown cowpuncher. Many of his adventures the colourful and dangerous characters he met found their way into the novels he would write twenty years later. 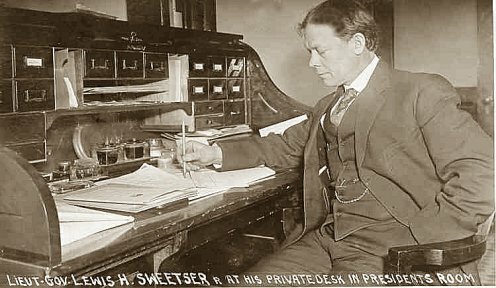 For the next 10 years "Sweetser and Burroughs" continued to buy land, eventually buying out "Sweetser Brothers and Pierce." 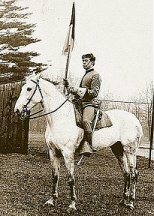 Ed returned to the east to attend Michigan Military Academy. 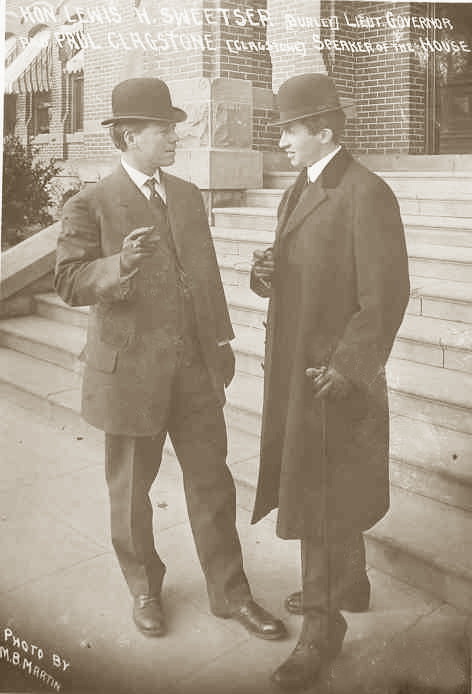 Inspired by Commandant and famous author, Charles King, Ed was determined to enter West Point to become an officer in the U.S. Army but Illinois had already used up its quota of entry slots. 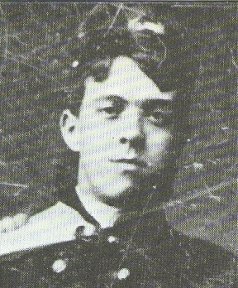 So after graduation in 1896, his brothers and Lewis Sweetser helped him gain appointment as an Idaho resident to qualify to write the West Point entrance exam. Idaho had made the appointment a competition and slots went to the top14 scores on a written exam. Edgar took the exam with 117 other Idaho teens but failed to make the cut. 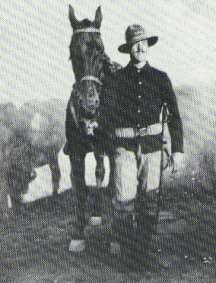 Ed promptly enlisted in the Army and was assigned to B Troop of the Seventh Cavalry at Fort Grant in southern Arizona -- the roughest post in America. 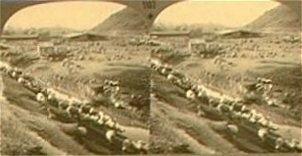 In spring of 1897, after receiving his discharge from the U.S. Cavalry on medical grounds (a heart murmur), Ed joined brother Harry and Lew Sweetser at Nogales, Arizona to help in the moving of a herd of starving Mexican Texas Longhorn cattle to Kansas City via overcrowded boxcars. Ed then returned home to 646 Washington Boulevard in Chicago. In spring of 1898 Ed returned to Idaho to join his brothers in their houseboat on the Snake River. In July, Sweetser and partners Burroughs and Sparks, loaded 14 car loads of cattle at American Falls and passed through Pocatello on their way to Omaha. "Mr. V.C. Roeder has sold his book and stationery store to Mr. E.R. Burroughs who is now in charge. Mr. Roeder has not yet decided upon what he will do, but if he does not go to war with the volunteer engineers now being recruited by Mr. F.F.J. Mills at Salt Lake, will probably locate some place in California. Mr. Roeder's departure from Pocatello is a matter of genuine regret to all. He is one of the old timers in Pocatello and will be missed by everybody. Mr. Roeder's successor, Mr. Burroughs, is a recent arrival in Pocatello but a young gentleman of due x abilities, and we have no doubt "Roeder's", as it has always been known, will continue as popular as ever under his management." He advertised that he could supply Pocatello readers with any periodical from America or elsewhere. His store was probably one of the few places in town where photographs could be developed. 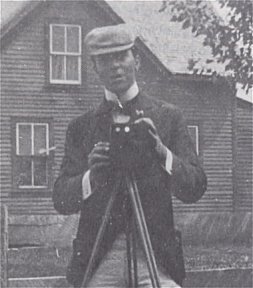 Ed took many photographs and offered them for sale in the local newspaper. In October, Ed had a supply of photo bills printed for the store. His first major work, Minidoka, was later written on the backs of some of these bills but it was promptly stored away and wouldn't see publication for 100 years. By November business was bad and Ed is starting to consider selling the store. 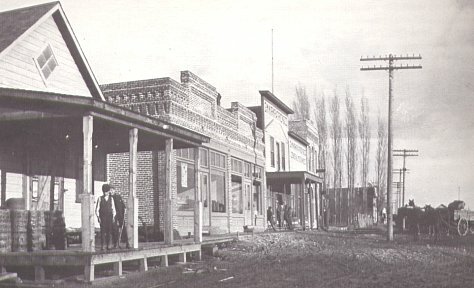 He realized that Idaho was very much a part of the "wild west" and wasn't ready for music, fancy magazines and photography. His time at the store, however, gave him time to read authors such as Verne, Haggard, and Kipling, which gave him the inspiration to pursue the writing and cartooning he had begun back at Michigan Military College. He contributed poems to the Pocatello Tribune, including: "The Black Man's Burden" - a parody of Kipling's "The White Man's Burden." During this time he added Darwin's Descent of Man to his book collection. This volume is featured in ERBzine's Personal Library Collection of ERB and is noteworthy for Ed's pencil drawling on the flyleaf: a large monkey or ape in a typical position, somewhat crouching, knuckles resting on the ground. On the right of the drawing he had written "Grandpa." A book he wrote around this time was Snake River Cotton-Tail Tales, a one-of-a-kind, hand-done, 12-pager with light verse and drawings that he did for his niece Evelyn. 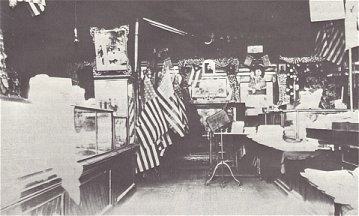 In the middle of 1899's hard winter Ed sold the stationery shop back to the former owner, V.C. Roeder. 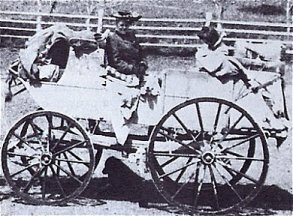 He then journeyed on his black horse, Crow, to Mule Shoe Ranch on the Snake River to help his brothers and Sweetser with the spring roundup. 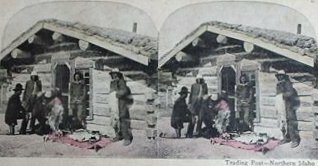 He carried out his roundup activities while suffering mountain fever and was later hospitalized by an accidental heavy blow to the head from a policeman's billy club while watching a saloon fight. This was the start of many hallucinations and headaches that plagued him for the rest of his life. On March 25, with Sweetser's support, Ed wrote letters to the War Department and Congressman Wilson in which he tried to secure another appointment in the army. The replies were not encouraging so he returned home to Chicago to work for his father and a year later married his childhood sweetheart, Emma Centennia Hulbert. 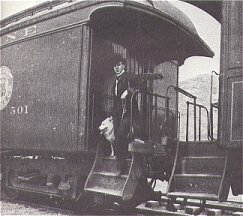 In spring of 1903, funded by a $300-dollar loan from brother Coleman, Ed and Emma transported their possessions via Union Pacific and an open Concord stagecoach to Idaho's Stanley Basin on the Salmon River, where the Sweetser-Burroughs Mining Company's gold dredging operation and their houseboat -- El Nido -- were now located. 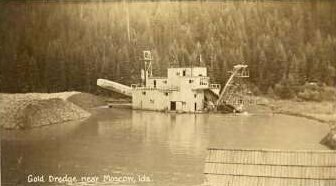 After a short stay they left to join brother Harry's gold dredging operation at Parma (founded in 1834 by the Hudson's Bay Company), on the Snake River. 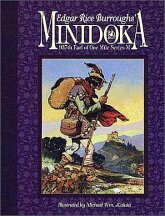 In fall of 1903 Ed wrote his first piece of fiction: Minidoka 937th Earl of One Mile Series M. An Historical Fairy Tale, - 82 pages handwritten on the backs of his old stationery store letterheads and other odd sheets of paper. It was filed away and forgotten until long after his death. Ed and Emma spent Christmas in Parma, Idaho. Christmas letters went out on the letterhead of the Sweetser-Burroughs Mining Co.: Geo.T. Burroughs, Jr. Pres., Walter S. Sparks, Vice-Pres., Lewis H. Sweetser, Sec'y., Henry S. Burroughs, Treas., Minidoka, Idaho. When both the mining and ranching operations ceased operation in 1904, Ed's three brothers moved back to Chicago. George took over the presidency of American Battery Company upon his father's retirement. Harry, after recovering from a serious eye injury, took a job with a telephone company and later with Automatic Electric as assistant to the manager. Coleman, whose Minidoka store had burned, worked as sales manager for Hawtin Engraving. 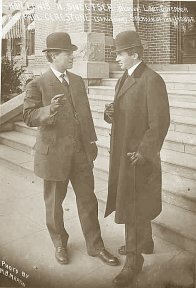 On April 5, 1904, Ed ran successfully for the office of Parma town trustee or alderman. He served with the Parma town government for only a short time, however. After his brothers' dredging company went bankrupt, he left Idaho for the last time, moving to Utah for a job as a railroad policeman. Lew Sweetser moved on to a series of major career changes. 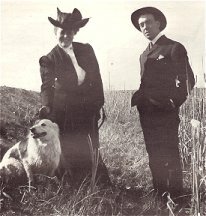 He married Clara Hawkins of Salt Lake City and tried his hand at sheep ranching. He served as state representative and then went on to be elected as lieutenant-governor of Idaho in 1908 and 1910. Two years later he was on his way to become state governor when he made a surprise decision to withdraw from the race. 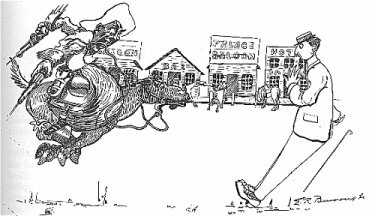 The long string of ventures that followed over the next quarter century include jobs such as a sugar company field man in Billings, Montana, the secretary manager of a cattle feeder company in Hysham, Montana, another attempt at cattle ranching, president of the Frye Oil Company, a poultry farmer, president of the Columbus (Ohio) Loan and Mortgage Company, a specialty sales manager in New York, farmer, manager of the Cassia County Fair, lecturer, and writer. 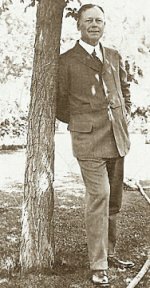 Most of his early writing -- starting in 1923 -- was for the Burley Bulletin, in which he wrote about Idaho's pioneer days, drawing much of his material from the experiences he had shared with the Burroughs brothers. "He was fully conversant with a concept of the unconscious and exceptionally well informed on the role of suggestion and hypnotism. Whether over the intervening years from 1889 to 1920 when to took to the stage as a lecturer he read extensively or whether he reworked his ideas acquired by 1889 I can't say. But he had a good grip on the concepts of the subconscious and suggestion including auto-suggestion. [Ed] Burroughs first came into contact with him as a 16 year old when he worked on the Idaho ranch in 1891. 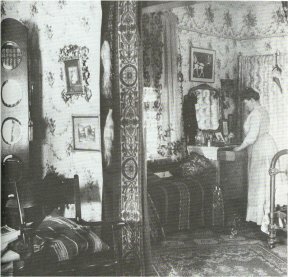 Again in 1898-99 and once again in 1903. Burroughs' own psychology follows that of Sweetser very closely with add-ons from further study." 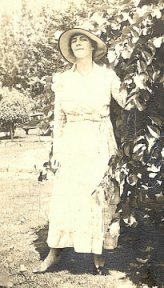 Harry's wife, Ella Oldham Burroughs, was killed in a car accident near Ann Arbor, Michigan on March 30, 1933. Clara Sweetser died of arteriosclerosis (commonly known at that time as "hardening of the arteries") four months after they moved to California in 1935. Lew became lonely and despondent, turning more and more to the occult, abandoning his promising newspaper career and all source of income.  Convinced that he was receiving messages from Clara's spirit, he convinced the skeptical Harry Burroughs to join him in communicating with their lost loved ones in the spirit world through seances and other means. Following the death of his longtime friend Harry in 1940, Lew expanded his old "mysticism/spiritualism" lectures into a book: The Inner Voice Reveals (1943: DeVorss & Co.). Obituary: Harry S. Burroughs (by Lew Sweetser) Harry S. Burroughs, 70, well known to early day residents of Cassia County, died at the home of his daughter in Quincy, Michigan, January 21 (1940), of a complication of ailments. In 1891 he formed a partnership with L.H. Sweetser, running cattle on lower Raft River. 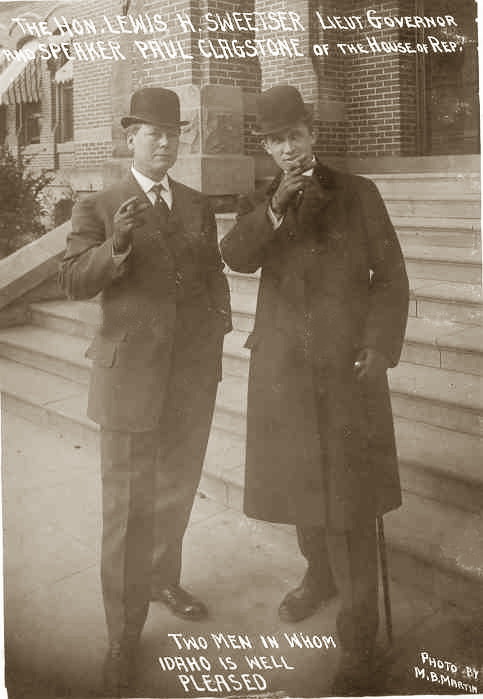 George T. Burroughs (who later engaged in the hardware business in Burley) soon thereafter joined the partnership. George's wife Edna died in October 1941. She had been committed to a mental institution in August. George invited old friend Lew Sweetser to share his Fontana home. George died on June 8, 1944 and his close friend and partner Lew Sweetser died one day after. Both men were cremated together. Not for download or duplication.